Spoilers ahead. Do not read on if you haven’t watched “The Door” and/or do not want to be spoiled on the episode’s latest revelation. This season of “Game of Thrones” hasn’t shied away from not just offing plenty of characters in characteristically horrifying manners, but from unleashing that terror on beloved fan favorites, culling the herd in perhaps the most upsetting way possible. That trend continued on last night’s episode, “The Door,” which offered up a double whammy of revelation and heartbreak, all centered around Kristian Nairn’s ever-faithful Hodor. Nairn sat down with Entertainment Weekly to chat about the story behind both Hodor’s death and the long-in-the-making reveal behind the single word he’s spoken repeatedly since he was just a kiddo at Winterfell. Despite the wrenching nature of Hodor’s death, Nairn is still pleased with how it all panned out. “I couldn’t be happier how he has gone out. The interesting thing is it’s kinda left open. You don’t actually see him [die]. It’s implied. So who knows? He may come back as a White Walker, maybe he got away. But it’s a really good way to do it. I couldn’t have asked for a better goodbye to a character I love,” he told EW. Still, the meaning of the single word that branded his character did stir up some big emotions in Nairn. “It’s incredibly sad,” he said. “The minute you finally learn something about Hodor, they kill him! 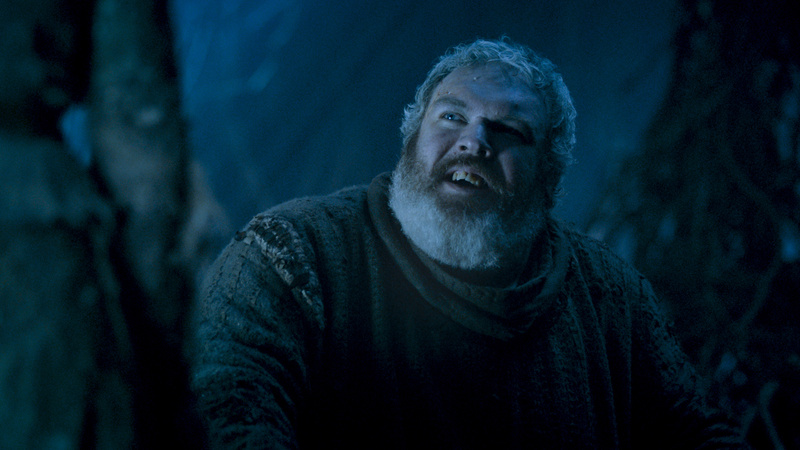 … I don’t see myself on screen, I see Hodor. I always talk about him in the third person. I just saw the character die and it was very sad. I think people are going to a) freak out, b) be very sad.” You got that one right, Hodor.